The 19’’ Spacedrum is the smallest of the family. It goes with 6 notes. Its 6 notes are displayed on an airy surface which allows to play with easy scales in medium and low registers. With its small diameter and its profiled shape, the 6 notes Spacedrum is light, very easy to handle and its egonomic is studied for most of the people, including children. It’s the perfect instrument for the Globe-Trotters and beginners musicians, it will also be perfect for musical awakening and musico-therapy. We wish to propose a model easy to play and more affordable than its big brothers. You can play alone or with other people, on your lap or on a stand, and even reverse it to enjoy the “Udu’s like sounds”. The Spacedrum can be rubbed with your hands, beaten with special sticks or just with your fingers. A complete freedom is offered to you in terms of technical game. Note: the dome and bottom sizes can vary a little bit as each instrument is hand-made, so unique. 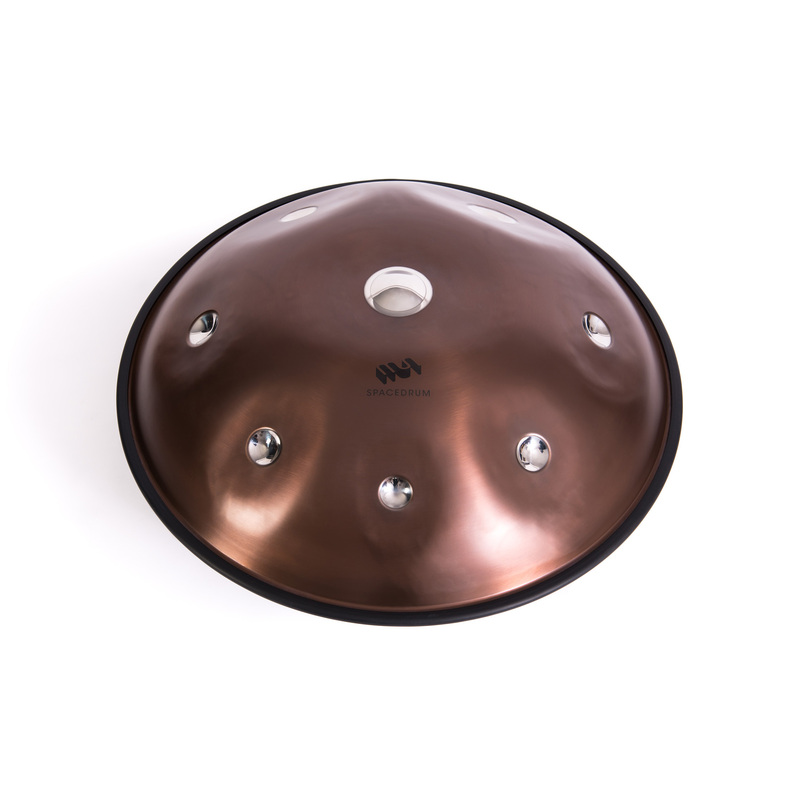 → Order your handpan Spacedrum 19″ now! With a 21” diameter the 8 notes model is at the crossing of the 24″ model and the small 19″. The 8 notes Spacedrum proposes a complete diatonic scale and two enlarged pentatonic scales (1 octave ½). It’s easy to handle and its ergonomics is designed for most of the people. Overtones are bright, basses are deep… The 8 notes Spacedrum brings you good vibrations which suggest plenty of inspiration possibilities. You can play alone or with other people, on your lap or on a stand, and even reverse it to enjoy the “Udu-like sounds”. The Spacedrum can be rubbed with your hands, beaten with special sticks or just with your fingers. A complete freedom is offered to you in terms of technical game. 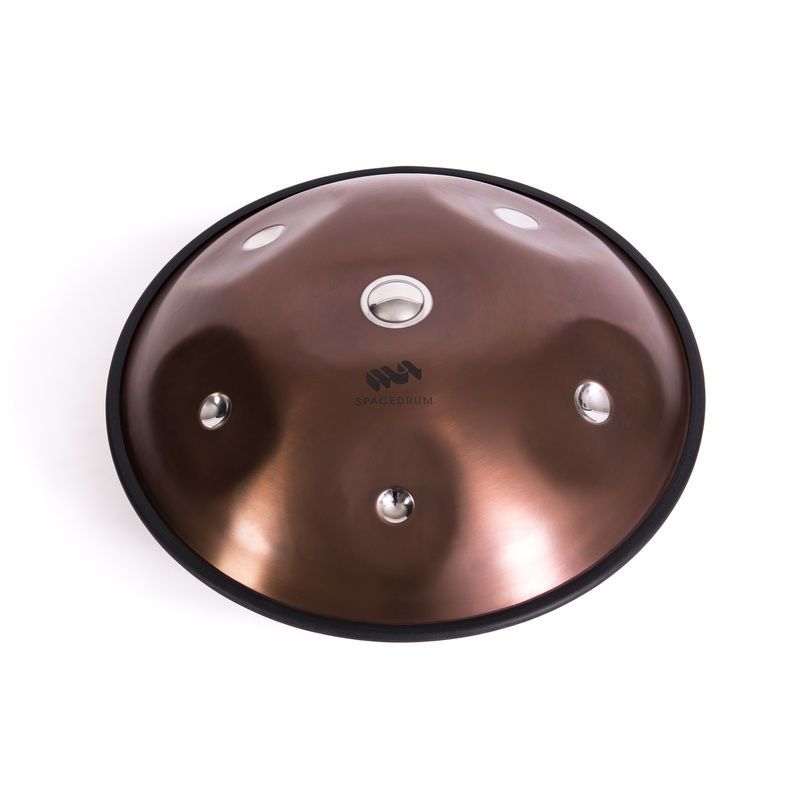 → Order your handpan Spacedrum 21″ now! The 24″ Spacedrum is the largest model. It goes with 8, 9 or 13 notes according to the scale (Deep Sky, Atlantic’O, Hokkaido, Chromatic). 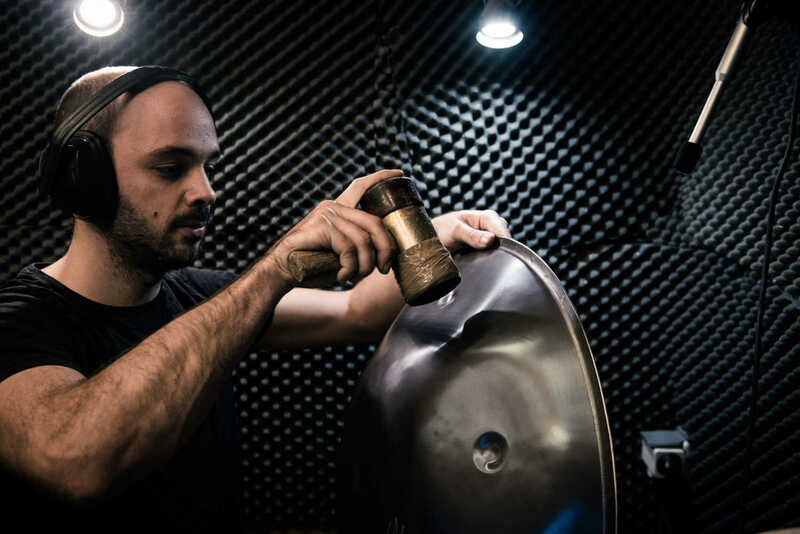 13 notes handpan Spacedrum is the first and only instrument from the great family of the metal melodic percussions recently created to offer a complete chromatic scale! It’s no more necessary to purchase several models to get a chromatic scale. With its 13 notes and 24” diameter it opens really new horizons for musicians. The new generation has improved the overtones quality, by reducing the interferences. It also proposes a new layout: the 13 notes are set in a logical way, with 4 notes on the top (dome), and playing the chromatic Spacedrum requires a little mental gymnastics. This model can be played on a stand but can also be placed on your laps despite it’s a little less ergonomic than its smaller “brothers”. Discover the world of all possibilities! The 24″ Spacedrum goes also with 8 notes (Deep Sky, Atlantic’O) or 9 notes. These three scales propose deep basses, from C3 for the Deep Sky, D3 for the Atlantic’O. The vibrations of these instruments are unbelievable! Note: the top and the bottom sizes may vary slightly as each instrument is unique (hand made). 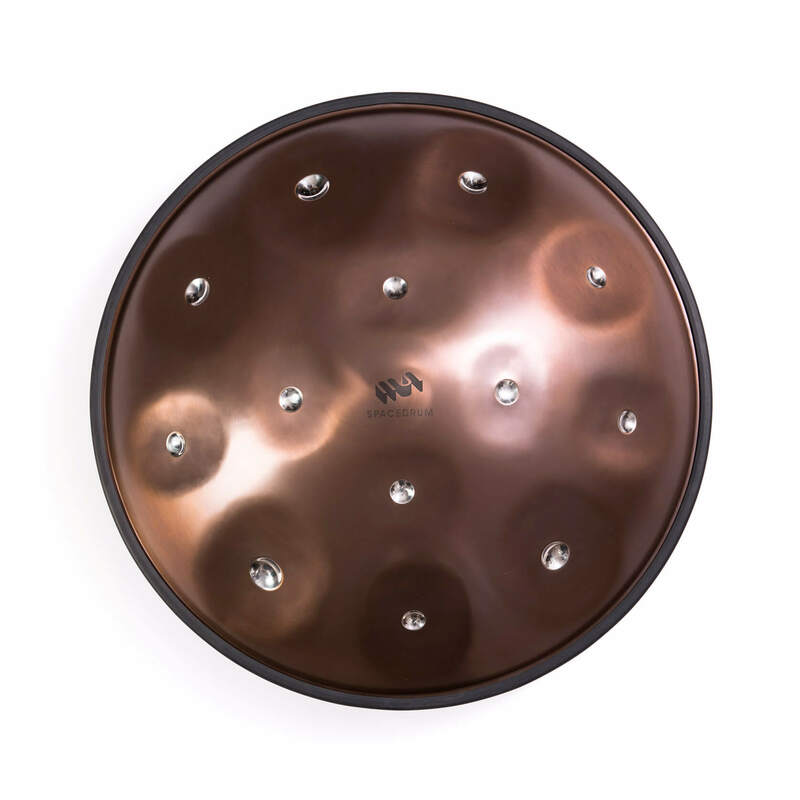 → Order your handpan Spacedrum 24″ now!